Winning a coveted industry award or celebrating a business milestone are great opportunities to get your company noticed. Publicizing your accomplishment with a year-long initiative can generate business results. In order to maximize publicity, surrounding awards and anniversaries, advance planning is crucial. It’s important to include funding for award and anniversary celebrations into your marketing budget. Based on your plans for the year, you’ll need to calculate what funds will need to be allocated. If your business regularly receives awards, dedicate money in your budget for promotion of your achievement. The first step in gaining recognition of your achievement is some basic public relations. Start by writing and releasing a press release announcing the details about your accomplishment. Share your press release with local media, trade publications and business associations you belong to. Remember to post the press release on your website, share it on social media accounts and include it in your newsletter. Another way to make a big impact for a small cost is to add the award emblem or anniversary seal to stationary and collateral materials. Some examples of where to include it would be sale proposals, brochures, product packaging and newsletters. You can also place the seal or emblem on your company website, add it to email signatures, place it on social media cover photos, include it in company brochures and print ads. All these will serve as a constant reminder to clients and customers of the achievement. Don’t forget to include social media posts throughout the year to publicize the award or milestone. For anniversaries, pictures of the award or historical business pictures should be featured on social media pages. 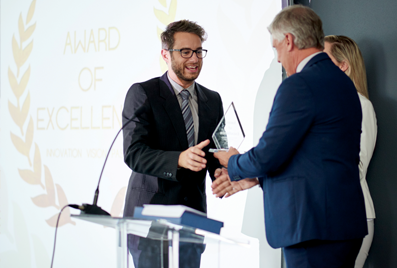 For industry awards, share pictures of your employee or company receiving the award. Social media is a great way for the community to share and take part in the celebration. You may even want to plan an event that will get the community involved in the celebration or do a tie in with a local charity to raise funds. To celebrate its 100th anniversary, Maytag conducted a search for the oldest working Maytag washing machine, offering $1,000 and a free new model in exchange. The story generated national publicity. Business milestones, like awards and anniversaries, can be exciting, not just for the company, but also for customers and the general public as well. So be sure to toot your own horn about your company’s accomplishments. 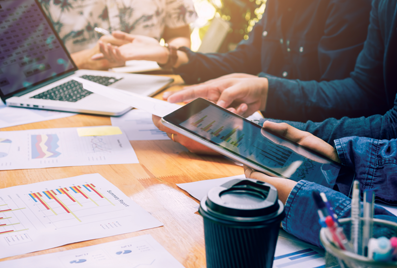 Whether you are a new business, starting from scratch, or a well-established company reaching maturity, having a comprehensive yearly plan and budget is critical to successful marketing. The first step in the process is to create an overall plan and establish your marketing goals. Maybe you’re a new company, with a goal of increasing brand awareness. Other goals might be to increase website visitors by 20%, launch a new product that will make up 15% of your overall sales, or double your email list in three months. The goals will vary from company to company and year by year within the same company. The most important thing is to be specific about your goals and put tracking mechanisms in place to gauge your success. Each of the goals established in your overall plan will then inform your marketing budget to help determine the allocations of funds required to meet the goal. Depending on the size of your organization and the number of people involved, you’ll need to start this process well in advance of the New Year. If possible, review the previous year’s marketing budgets. Determine which initiatives translated into the greatest results and should be repeated for another year. In addition, be sure to map out any seasonal ups and downs that would impact sales. Determine your sales peaks so that you can budget to spend more during these times. Once you’ve worked through all the variables, you’ll be able to determine your annual marketing budget. There is no budget standard that applies to all business types, but generally speaking, your marketing budget should be about 5-7% of total revenue. If you are looking to grow your business, you will want to aim for 10-12% of your total revenue. Once you’ve established your goals and budget, the next step is to determine which tactic or media is the best platform to deliver your message. Again, you may be starting with a clean slate or have past results to review in making these decisions. It’s important to do a clear eye assessment of each media platform’s potential benefits, effectiveness in reaching your target audience and relative costs. Be careful to not let your personal media habits or preferences overly sway you. Just because you religiously watch the Dr. Pimple TV show, doesn’t mean it’s the best choice for ads. The options are endless. From paid advertising, websites and public relations to product marketing, events and social media. Be sure to do your research to determine which methods will reach your audience and be the most cost effective in doing so. Based on the available budget, you’ll need to do the difficult balancing act of employing enough resources in each medium to reach your goal. It’s better to employ fewer media platforms and reach a saturation level with the audience, rather than spreading the funds too thin and having no impact. Now it’s time to bring it all together. Establish monthly budgets for each media that will be utilized over the course of the year. Budgets may vary due to peak seasons and events that are planned. Keep in mind that some marketing platforms don’t deliver as well during different times of the year. Your final marketing budget allocations for the year will depend on the goals you established at the beginning of the process. Several rounds of revisions may be necessary until you get everything where you want it to be. Music, news, talk, and everything in between is what radio brings to the listening audience. When radios first became a common household item in the 1920s, they served as the gathering place for families to be entertained and informed. One of the first commercial radio stations doing public broadcasts was KDKA in Pittsburgh, PA, which is still on the air today. By the 1930s radios were being installed in cars allowing people to take their music and entertainment with them wherever they went. Today, through digital and streaming, radio programming is delivered anywhere, including your phone or virtual assistant. Throughout the evolution of radio, the driving force behind every change has been generating advertising revenues. Yes, those ads that keep interrupting your favorite programs, are the reason you have such an array of audio options. According to recent research, the share of time Americans spend listening to different audio sources is varied. 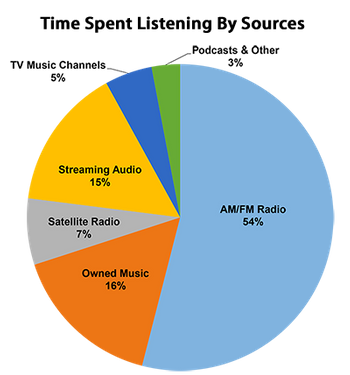 Traditional over-the-air terrestrial radio still holds the majority of listeners at 54%. However, the listenership for digital streaming options being offered by radio stations is quickly catching up. According to industry estimates, audio streaming listening hours have grown more than 40 percent, from 30 billion in 2014 to 43 billion in 2017. That translates into roughly 180 million sets of ears in the U.S. alone. PricewaterhouseCoopers predicts the addition of streaming ad revenue in the U.S. to be $18.39 billion by 2022. 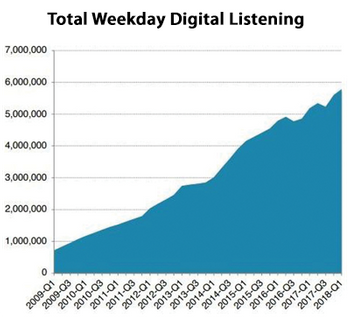 So why such a jump in interest for digital audio? Streaming offers advertisers the ability to leverage the data collected from the consumer’s listening devices to refine their target audience. With over-the-air radio, very little is known about listeners. Nielsen Audio Ratings surveys are conducted in designated market areas via diary records and digital people meters. Both track the listening habits of a small segment of the market, which is then statistically extrapolated to provide overall listenership by age and gender. The ongoing collection of streaming data reveals not only the age and gender of listeners; it also provides information about geolocation, educational levels, music preferences, favorite brands, sports they follow, and a multitude of other behavioral preferences. Advertisers rely on this information to target audiences and increase a campaign’s effectiveness.